. 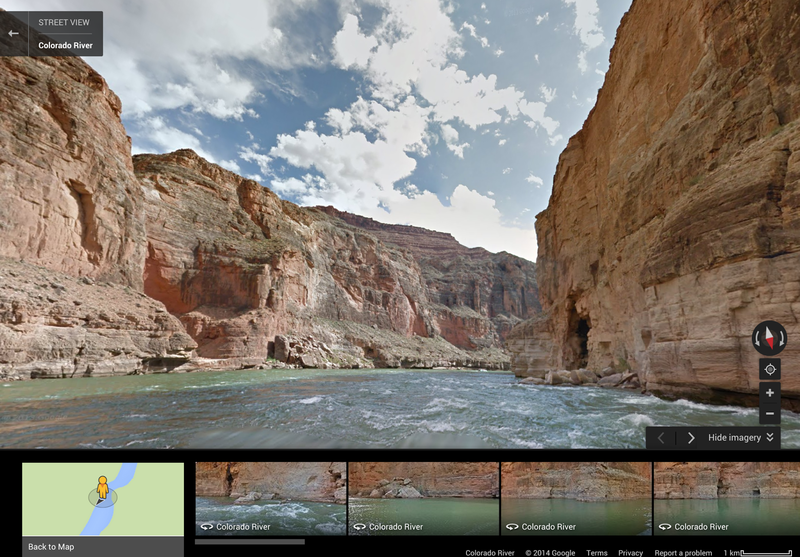 We’ve partnered with American Rivers to share the adventure of the Colorado River through the Grand Canyon in Google Maps. -Ed. For 6 million years, the Colorado River has flowed through the heart of the desert southwest, its waters slowly carving out a canyon so vast it can be seen from space—yet so remote it didn’t appear on early maps of the region. It wasn’t until 1869, when John Wesley Powell led a small exploration party on a rafting trip, that the natural wonders of the Colorado River and the Grand Canyon came fully into view. 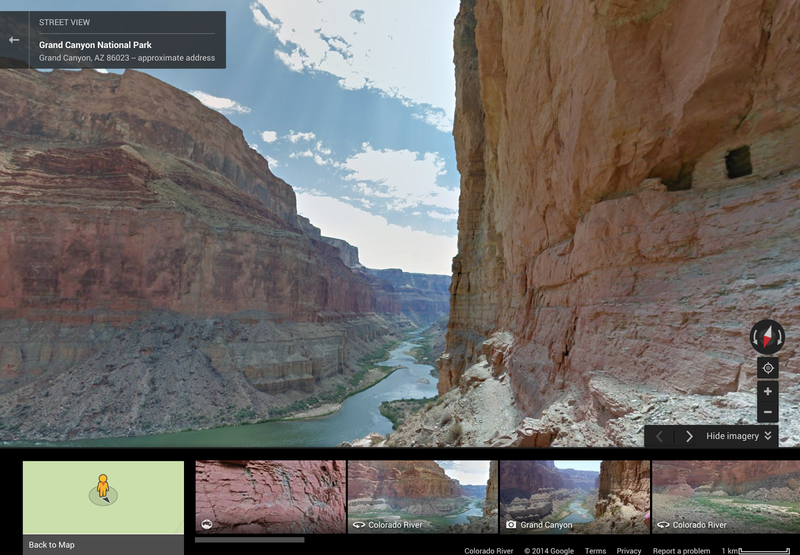 Now with Google Street View, you can ride the whitewater rapids, cruise the sleepy river bends, and discover the side canyons that make the Colorado River a treasured resource. Start at an iconic spot like Deer Creek Falls or North Canyon, or climb up to the Nankoweap Granaries. Geology fans will enjoy formations like Hermit Shale and Tapeats Sandstone. On your journey, look out for wildlife like big horn sheep and signs of a volcanic dam that naturally occurred centuries ago. We’re proud to partner with Google and Street View to raise awareness of the need to protect and restore the river. It’s time to speak up and protect the wonder of the Grand Canyon and the riches of a healthy Colorado River. Join American Rivers and help us protect and restore this iconic river of the west—for today and for future generations. This guest post is by Chris Williams, Senior Vice President of Conservation at American Rivers. We’ve partnered with American Rivers to share the adventure of the Colorado River through the Grand Canyon in Google Maps. -Ed.